Put the Transit Cargo Van to work. It features a combination of load floor length and height for the cargo volume and payload you need. 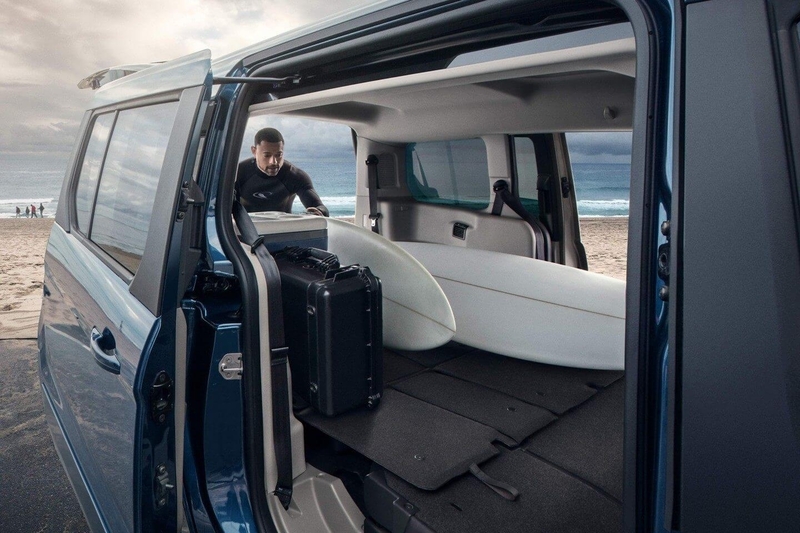 The Ford Transit Cargo Van is designed for capability and flexibility – and engineered to Built Ford Tough® standards for durability. Configure a Transit Passenger Wagon with a seating arrangement of eight, ten, twelve or fifteen passengers. 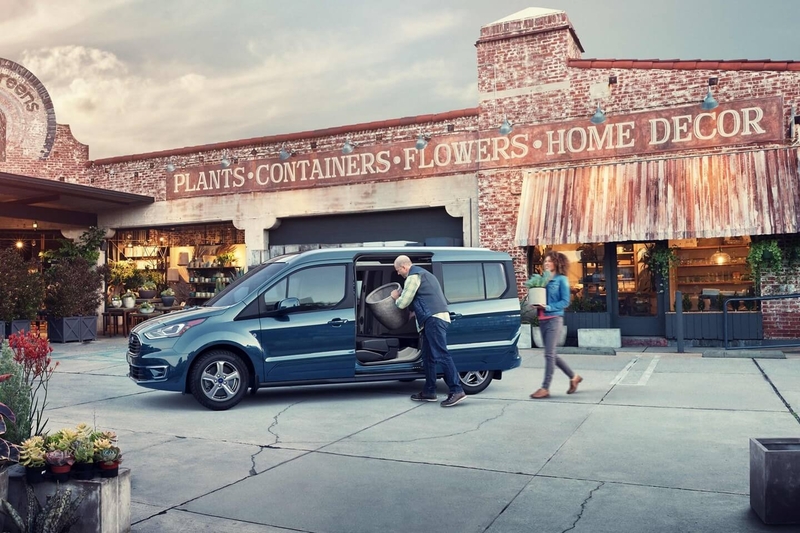 So whether you need to haul the family around during the week, take a road trip over the weekend, or put it to work as a shuttle service, the Ford Transit is designed for capability and flexibility – and engineered to Built Ford Tough® standards for durability. The standard 3.7L V6 delivers responsive performance with 275 horsepower and 260 lb.-ft. of torque. 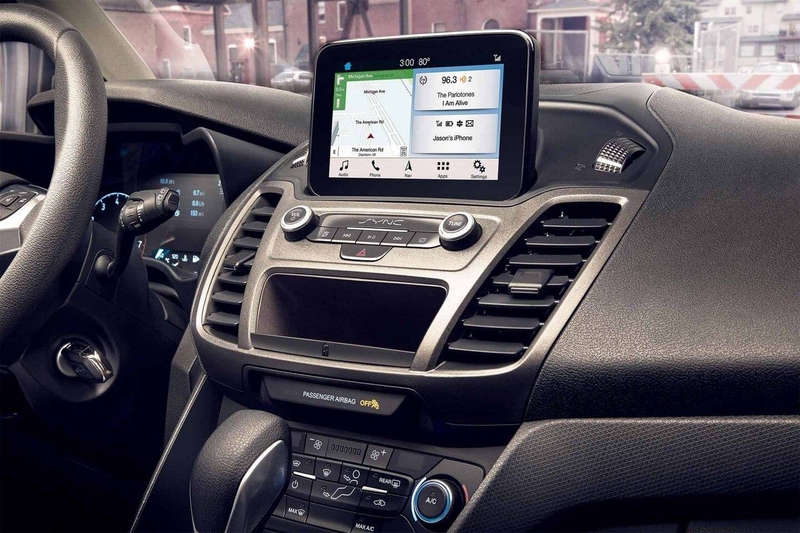 The available 3.5L EcoBoost®V6 generates 310 horsepower and has a best-in-class maximum gas torque rating of 400 lb.-ft.* Both engines are capable of handling anything your family can throw at the Passenger Wagon. Also available is the direct-injected 3.2L Power Stroke® inline I-5 Turbo Diesel rated at 185 horsepower and impressive 350 lb.-ft. of torque. The 130-inch wheelbase model has a choice of roof heights – low and medium. The Passenger Wagon 148-inch wheelbase has three different heights – low, medium and high. The 148-inch wheelbase/extended-length body model has a high roof. The Transit Passenger Wagon, with seating from eight to 15, is capable of accommodating a broad range of personal needs. Power running board is available on the Passenger Wagon. And new for 2018 are the available extended-length running boards. They cover the driver’s door on left side and the passenger and second-row door on the right. The perfect flooring for an imperfect world. Standard on the XL Passenger Wagon, this tough and durable full-length vinyl flooring won’t let spills, mud or any other mess get in your way. The Passenger Wagon offers a variety of window configurations to meet your needs. Shown here is the second-row driver-side flip-open window. The 2018 Transit Passenger Wagon has a standard rear view camera, Safety Canopy System and available rain-sensing wipers. Side-wind stabilization is also standard while lane-keeping alert is available for confidence on the road. And to stay connected, SYNC® 3 with a 6.5-inch screen (shown) is available. All Passenger Wagons come standard with driver and passenger front and side airbags. The Transit Passenger Wagons include a Safety Canopy® System with a full-length, side-curtain airbag. A camera mounted behind the windshield scans road lane markings to determine vehicle position and detects a lane departure. This available feature can operate during the day or night. Lane-keeping alert warns you through a series of steering wheel vibrations, which mimic a rumble strip, should the system detect an unintentional lane departure. Available SYNC® 3 is our easy-to-use, responsive voice-activated technology. Discover the system’s quick reactions to your conversational voice commands. Experience the smartphone-like touchscreen with impressive responsiveness. You’ll also find a sleek user-friendly interface to help you connect to and control your smartphone. Locate your favorite restaurants with simple destination entry via the navigational system. SYNC 3 is fast, smart and easy to use.